LXXXVII There were present the following members: Mesdames Lane, Littell, Griswold, Wooley, Boulton, Detwiler, North, and Miss Mahara. At 2:45 p.m. the meeting was formally called to order, and the roll was called, and responded to with many inter-esting points of news. The minutes of the previous meeting were read and approved after the amendment suggested by Mrs. Detwiler had been made. Amendment related to the expense account of our delegate to the sate convention. As Mrs. 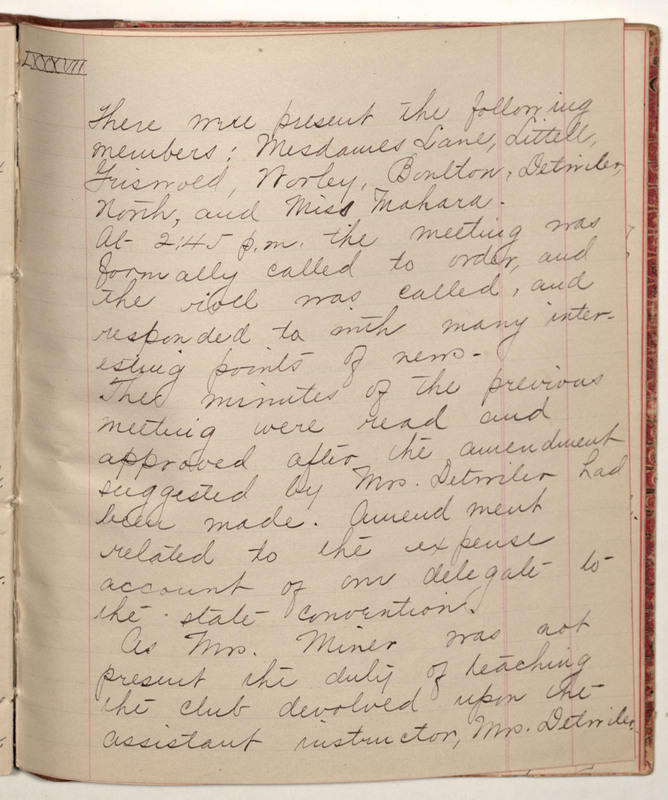 Miner was not present the duty of teaching the club devolved upon the assistant instructor, Mrs. Detwiler.